Japan is planning an “International Robot Competition” in 2020!!! 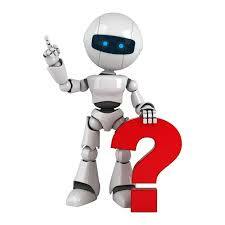 “A committee of experts to discuss an international robot competition that the Japanese government wants to hold in 2020 met for the first time on Feb. 2, and suggested that the competition cover three categories: product-making, services, and public interest projects. Japan(2020) = (Olympics + Robots) x C2 ! Great but to which extend should humans push for robot development? More details from: Japan is planning an “International Robot Competition” in 2020!!! This entry was posted on Monday, February 15th, 2016 at 09:00	and tagged with 2020, EU-Japan cooperation in Robotics, GBMC, International Robot Competition, Japan, Japanese robotics, robotics, robots, Tokyo Olympics 202 and posted in Business, clever software, Japan, Social, Technology. You can follow any responses to this entry through the RSS 2.0 feed. « EU-Japan EPA: Why Europe needs to finalise a deal right now! !